As this site is dedicated to the memory and life of my Father-in-law Harvey Alexander, I have endeavored to present as much information on his story (during world War Two) that I could get out of him. Be that as it may, there were also some very interesting stories that he had mentioned to us while sitting around his house which occurred after the war. One of these tidbits of his life I couldn’t help but place here today. But this part of his life needs to be told. So get comfortable, perhaps get yourself a drink and read a story which just might put back the “patriotism” for this country and its honorable people inside your hearts once more…. 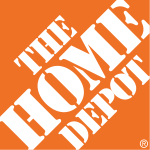 Some years ago now, I would say around 1978 or 1979 there used to be Home Depot located in and around the Charlotte North Carolina area. In fact today there probably is many Home Depots still standing in that city, but in my opinion, this one is very special. One afternoon while Paw Paw (Father-in-law) was busy working on the telephone system for Reverend Jim Baker’s new Christian Community, he found himself in need of supplies. Considering the fact that he always depended on the materials from this particular store, Harv got in his old station wagon and drove out to the closest one near to his home. While busying himself gathering what he needed, he noticed an old man and woman walking hand in hand down the large overcrowded aisle. They seemed rather confused and somber; speaking in a low, almost timid manner to each other as they gradually strode towards one of the clerks assisting another customer. Patiently, they waited for the man to finish, and reaching over and touching his sleeve, the older gentleman looked up into the man’s eyes and very humbly asked him if they could spare any wood, or glass, or anything, as their home was close to collapsing. Now Paw Paw, inquisitive at this point, glanced over and noticed this older gentleman didn't seem to be the kind of man easily able to beg, and his wife looked pretty sickened at having to be a part of any of this. But as you know, desperation can do wonders for making people do things they normally would never consider doing, and this couple obviously well into their 80’s, were in dire need of any type of support they could possibly find. Harv continued to pretend to look at some items next to where the old couple was standing and overheard the old man ask the clerk if there was anything he could do. The man told him that his home was about a block or two away. And with that the three of them turned around and left the store. Now Paw Paw was quite frankly VERY interested in how this little scenario would turn out, and instead of packing up the items he gathered and cashing them out to leave, he decided he would shop around a little while. It didn’t take too long for both husband and wife, led by the clerk, to return into the store, and Harv moved over, ensuring he was close enough to overhear what transpired next. “Well, the clerk came back into the store with the two old timers in tow, and had them wait near to the entrance way, as he strode up and back into where they had the manager’s office. He walked inside the office and through the glass windows I could see the man speaking to another well dressed man sitting inside. About 3 minutes or so passed by when both men walked out of the office and over to where the old man and lady were standing. The second man introduced himself to the couple and stated that he was one of the owners of the establishment. He went on to tell both of them that on behalf of Home Depot it would be, "his honor to help return their little home back into tip top shape…." “Yep”, he replied, new as in they practically tore down the old one and put up a brand new home for this couple, including a new roof, windows, siding, sidewalk, etc. etc. In conclusion to this little story, Paw Paw explained how there wasn’t a tear unshed by these two the entire time the men worked on their home…He stated that not only was Home Depot there, but people began to come from miles around to help out…There were plumbers vying for the chance to work, carpenters, roofers, electricians, all taking out their personal time and expense to ensure these two seniors had the best home they possible could help to provide. They completed the entire renovation in a few days and did it completely free of charge! No, it means loving someone enough to make that “Barn Raising” a reality…. So if you took the time to read this story about these real heroes, please consider taking a little wisdom from it and perhaps help out someone who is in need…..
America was built on this very premise.